These glass milk bottles are great as flower vases or hanging to create a feature. They can be used individually or clustered to create a free-standing or hanging feature, perfect for displaying florals. 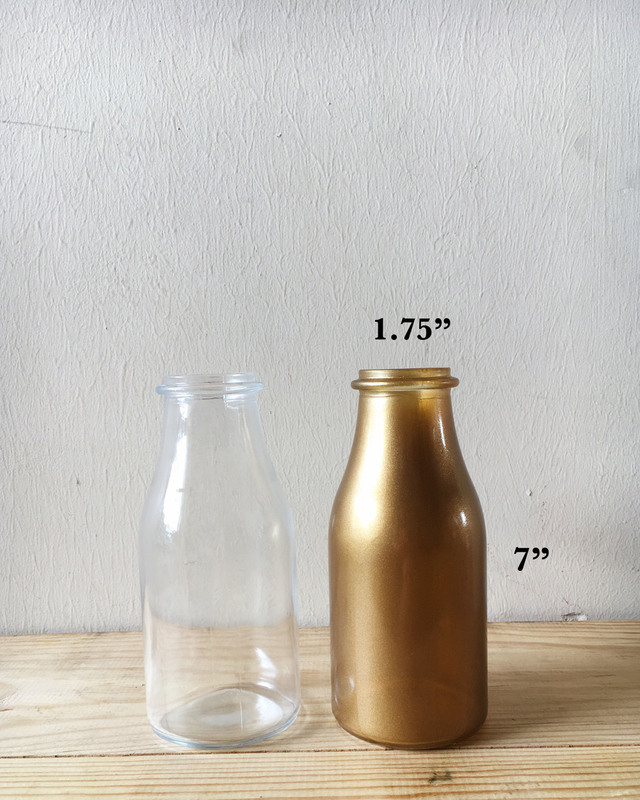 Comes in a set of two, these bottles measure 7" tall andtheir opening is 1.75" diameter.